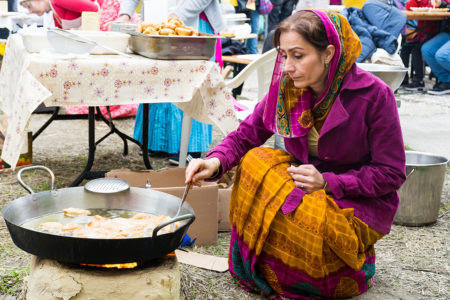 October was a busy month for both the Budapest and the Krishna Valley devotees. 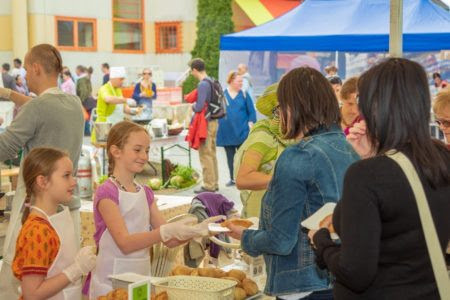 We held the seventh annual gastro festival at the Budapest temple which had a greater attendance this year than last on the 7th, with 2200 people visiting that day. The 150 devotees who did service there cooked and distributed 4500 kg prasadam! Besides getting introduced into the variegatedness of the Indian cuisine, the guests had the opportunity to take darshan of the Lord, hear the holy names and enjoy the different colorful programs the devotees organized. 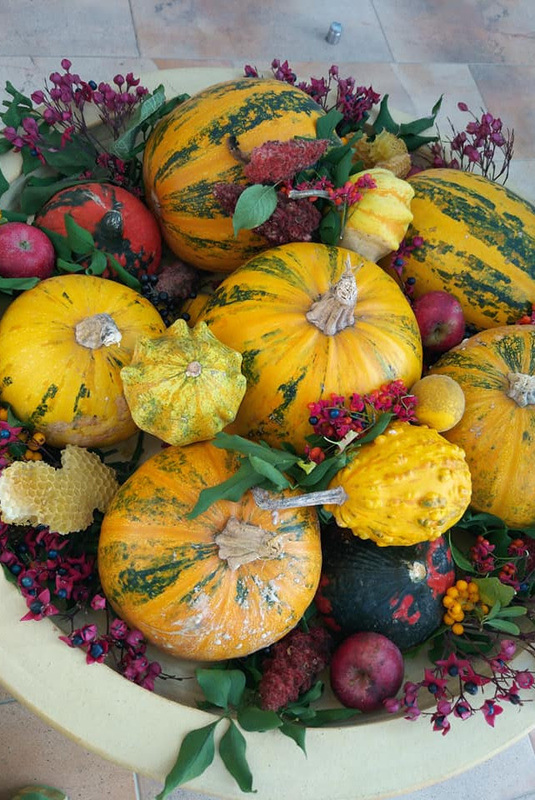 Krishna Valley’s big preaching program – which was held in the middle of October - was the Pumpkin festival. The summer season is now over and visitors are rare during the weekdays, but because we are having unusually warm weather at the moment, many guests are still coming at the weekends. Radha-Syama received 515 guests on the day of the Pumpkin festival! 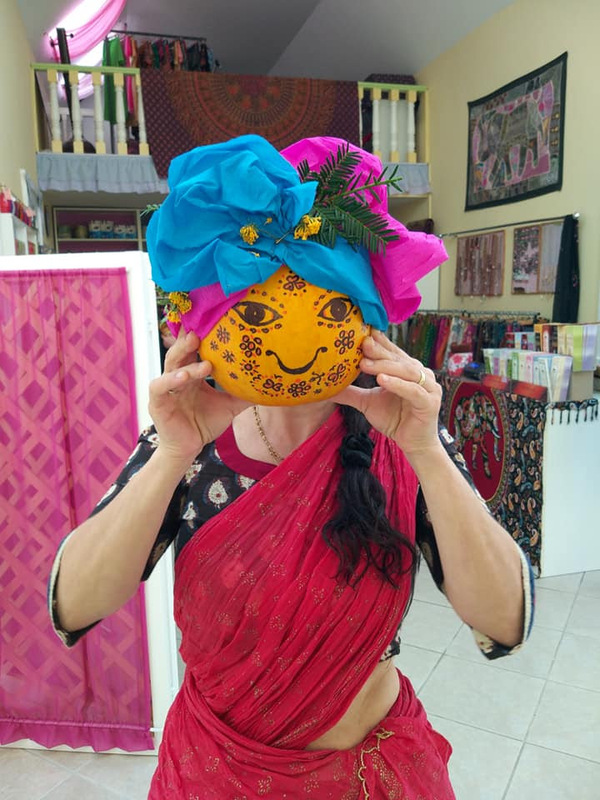 They were painting and decorating pumpkins, as well as taking part in other kind of handicraft tasks and taking a tour by oxcart to different places in Krishna Valley. The restaurant too provided a variety of savoury and sweet preparations all made from varieties of pumpkin that they could sample and enjoy, making a really entertaining and enjoyable day for all involved. Besides these preaching events we had different Vaisnava festivals too: on the day of Rama Vijayotsava it was the opportunity again to help Lord Ramacandra and His monkey soldiers defeat the evil Ravana and burn his body. And although this years Ravana was smaller than in previous years (because of a minor accident a few days before at the kitchen of the goshala involving fire) the devotees enthusiasm had not waned at all when it came to chastising and fighting with Ravana. Sita-Rama-Lakshman-Hanumana must have enjoyed the fun, and the devotees fervently prayed to Them to destroy the demons in their hearts too, which are the obstacles on the path of their pure devotion to Radha-Syama. And on 24th the long-awaited very auspicious Kartik month had begun! Devotees made vows to increase their spiritual practices and they prayed for the mercy of Radha-Syama to be successful in their promises. Every evening we are offering ghee lamps to Yashoda-Damodara who are also gracing the altar. 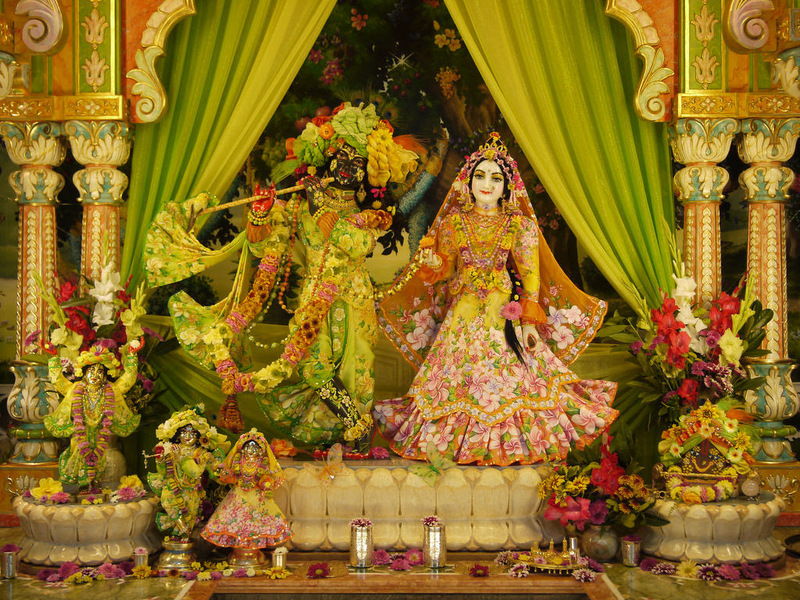 The month of Kartik began with the full moon night when Radha-Syama dance with Their gopi girlfriends. We On this evening the small Deities of Radha-Syama also come into the temple room and They were placed by the picture of the rasa-dance. We offered a variety of foodstuffs to Them, chanted bhajanas and had katha about Their dancing pastime. They always spend this night in the temple room, and we leave different food offerings and refreshments at the bank of the Radha-kunda, at the throne of Radha-Syama and at the kunjas of the asta-sakhis. Grihasta devotees also place offerings at the windows of their houses hoping that the Divine Couple visit there too during the night and accept their offerings. Kartik is filled with so many nectarian pastimes and festivals similar to this… all of which you will be able to read about in the next issue of the newsletter. Including the festival of Govardhana-puja, which was just celebrated with great enthusiasm for the pleasure of Govardhana-lal. Devotees started cooking almost two weeks before the festival to make sure Govardhana-lal gets His usual amount of sweets this year too. Did we succeed? You will see it in our next issue! Nitya-sevawise we had a quiet month. We received one full payment, lots of instalments and smaller donations. But behind the scenes the members of the Nitya-seva team are busy asking devotees who are not yet participating in the project, if they could also step forward. Plus we are organizing and attending different outreach programs so that we can get in contact with new people to also join the blissful service of Radha-Syama and Gaura-Nitai… and maybe in the not so distant future be inspired to become part of the team of Their sponsors too. Please pray for us so that our endeavors will be successful! Finally here are the available days of November in the Nitya-seva calendar! 3rd, 5th, 9th, 12th, 13th, 16th, 18th, 21st, 24th, 25th, 26th, 27th, 28th and 30th.